Eco-Travel New Mexico is the essential take-along companion to sustainable travel in New Mexico, on the main trails and off the beaten path. Ashley M. Biggers’s guide delves into the heart of this enchanting land–from stunning natural landscapes to vital cultural areas that give New Mexico its distinctive character. With handy insider tips and insights, the guide takes travelers to eco-friendly destinations, farm-to-table restaurants, and green hotels and introduces them to sustainable outfitters. 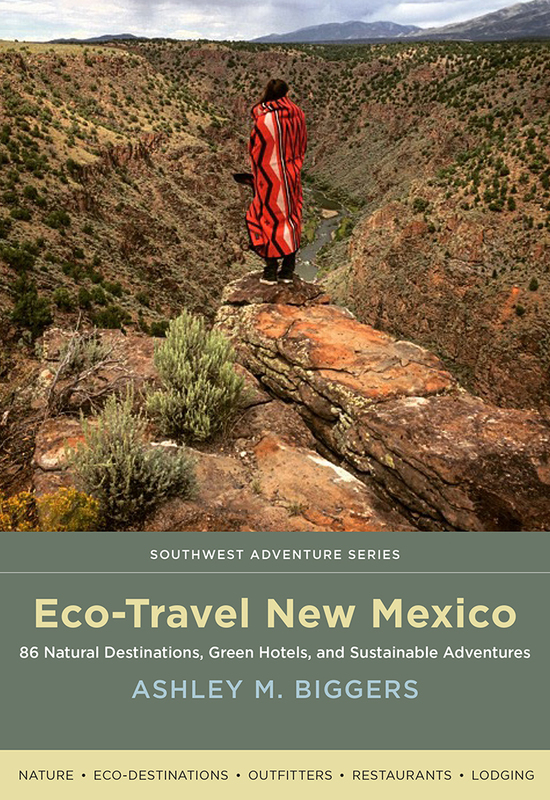 Complete with recommended hikes and camping areas, Eco-Travel New Mexico gives travelers the tools they need to authentically and responsibly explore their environment. 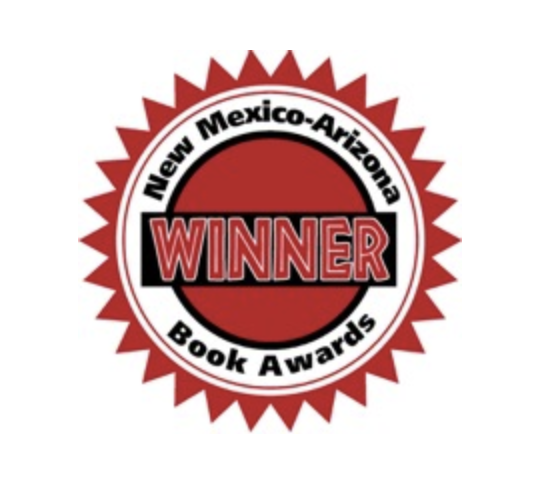 This title is part of the Southwest Adventure Series, for which Ashley M. Biggers is the lead editor. Contact her if you’re interested in further information about the series. Albuquerque may be (well deservedly) known for Route 66, Breaking Bad, and its famous green chiles. But there’s much more to know—and love—about this lively Southwestern city. 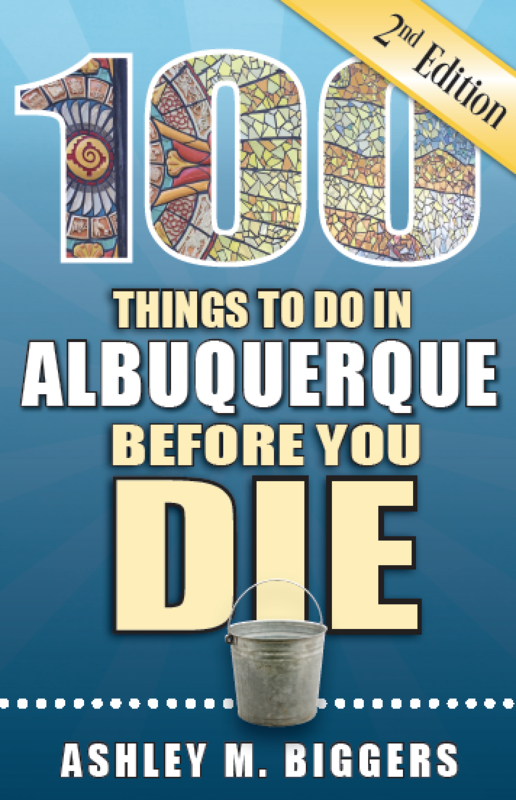 Whether you’re a native Albuquerquean looking to mark another local experience off your “bucket list” or an out-of-towner in search of a few vacation ideas, let this second edition of 100 Things to Do in Albuquerque Before You Die be your guide. The book celebrates the top ways to (re)discover the city—from a trip four thousand feet up an aerial tramway to a public art walk. No Duke City exploration is complete without getting outdoors—and rewarding yourself with a delicious meal afterwards. This guide includes places to hike, bike, and paddle, and where to dine on dishes prepared by the city’s top chefs. 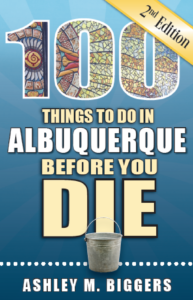 Before you head out on your next adventure, check out this revised list featuring seventeen new destinations to see what makes Albuquerque a world unto itself.